July 25th, 2011 at 7:42 pm Terrific shots. July 26th, 2011 at 1:17 am Oh you’re very brave. I wouldn’t go out on my own looking for bobcats that’s for sure, lol. The one you captured actually looks hungry so good thing he didn’t attack. Perhaps he was too stunned by the flash? I enjoyed your description of your outing and all your photos. You’ve captured some fabulous nature finds. 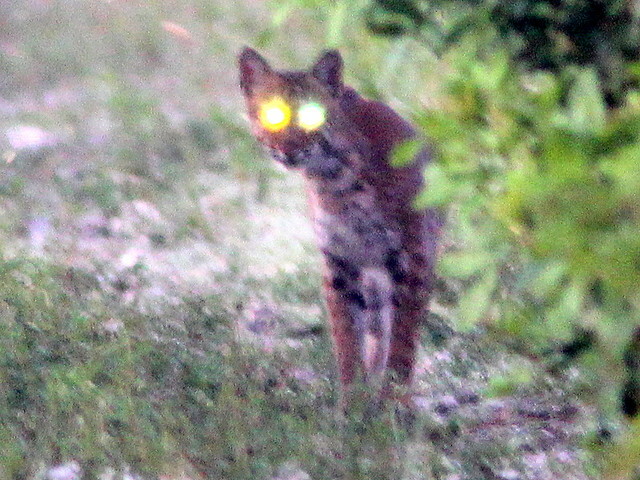 July 26th, 2011 at 4:13 am Wow, awesome shot of the bobcat. What a cool sighting. 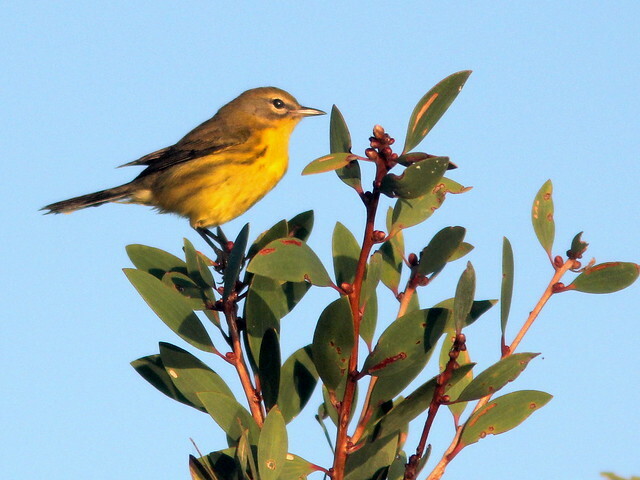 Love the birdies , especially the prairie warbler. A beautiful bird. Fantastic photos! July 26th, 2011 at 7:31 am Too bad about the cat!! I pulled the same stunt with a pack of coyotes, and haven’t seen them since. Boom & Gary of the Vermilon River, Canada. July 26th, 2011 at 12:17 pm Great account of your search for the Bobcat Ken. 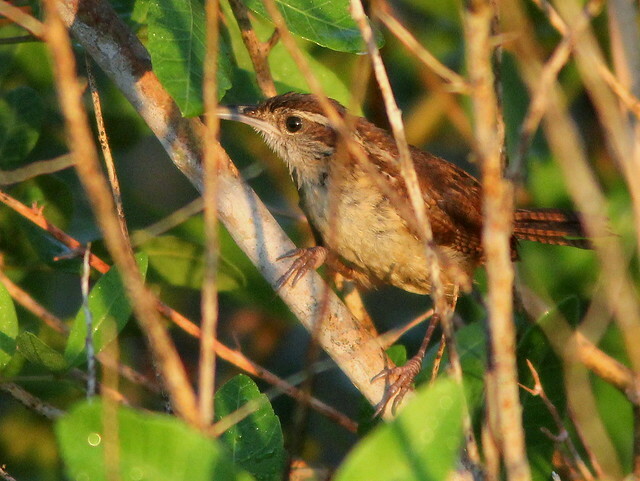 Love the birds shots. July 26th, 2011 at 12:56 pm A fantastic series of images and a great read. July 26th, 2011 at 7:11 pm Superb post. You sure write a great story. Your word pictures were well focused. Mr Fullana definitely owes you one for turning him on to that fabulous opportunity. I think your flash had to blind the bobcat. Wishing you many more chances! Thanks for sharing this great walk! 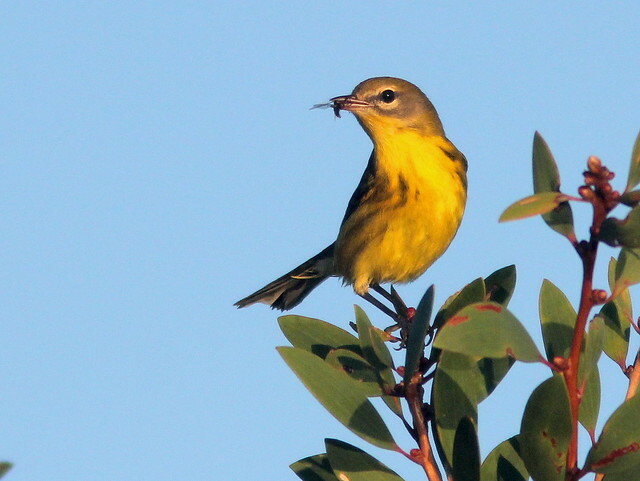 July 26th, 2011 at 11:42 pm Awesome shots of the Prairie Warbler Ken! I have observed the same behavior of the adult eating the chicks meal after waiting for a long period. I too thought it was to protect the young from exposure to danger. 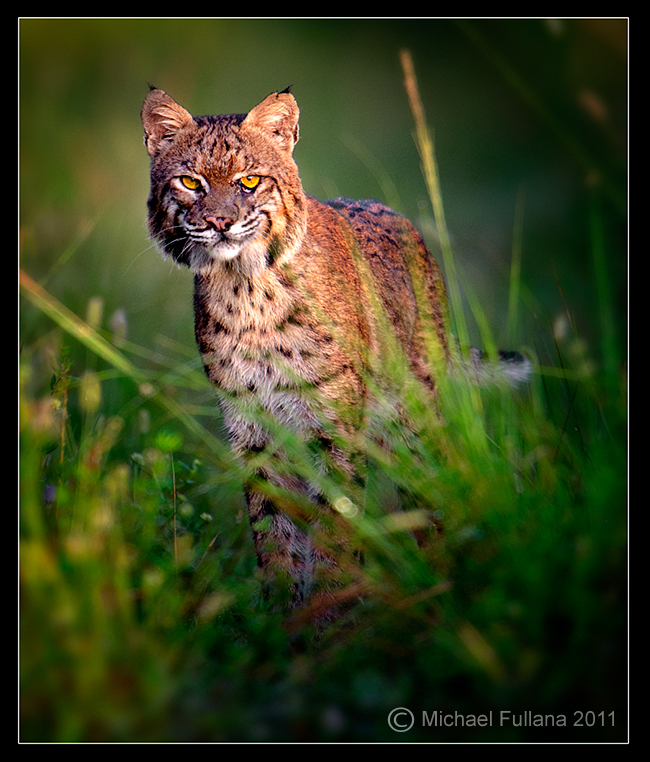 I love the head shot of the turtle and I consider it a special treat to see a Bobcat, much less get a photo. I’m sure you will get another chance! July 27th, 2011 at 5:03 am Great bird photo hope you get great photos of the bobcat. 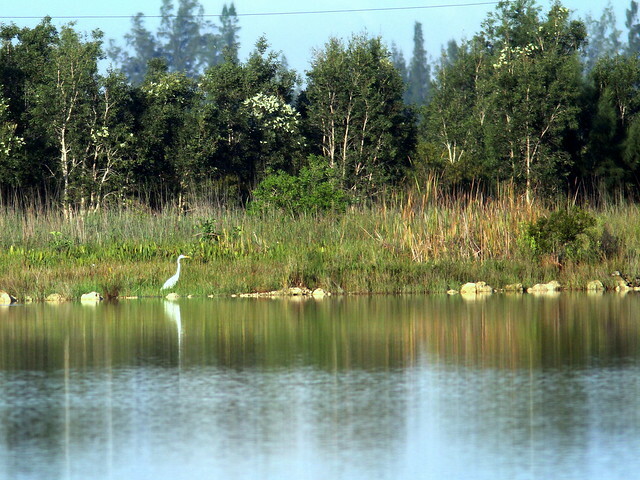 July 27th, 2011 at 6:16 am Great nature shots. I have the same trouble and have to use auto-focus but I use it on automatic with a sports setting and sometimes take multiple shots. I don’t get professional looking shots but I have not had too many duds either. A beautiful turtle and all those great birds. July 27th, 2011 at 11:00 am What an interesting read! Fullana was lucky to be there at the right time to get that gorgeous shot! 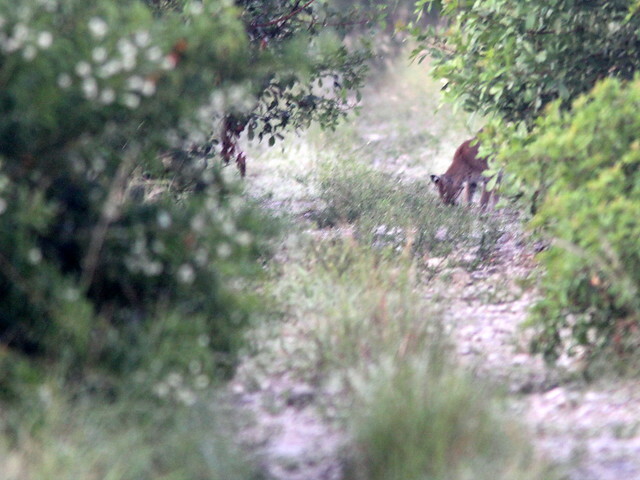 I’m sure you’ll get more chances for capturing the big cat, as you certainly know how to find them. 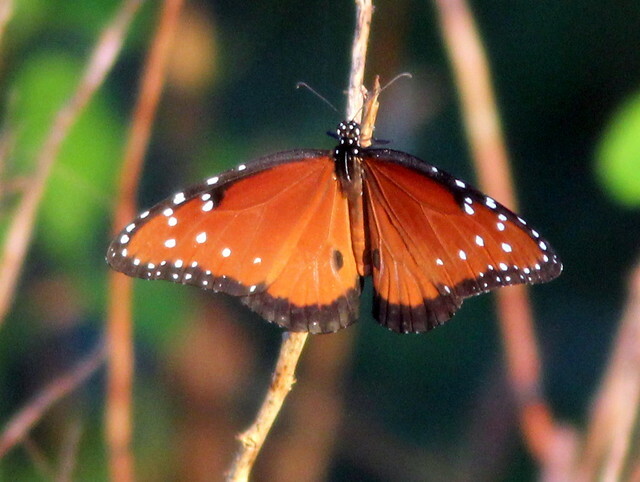 The butterfly shot is beautiful, as are the birds. But I really love that turtle! 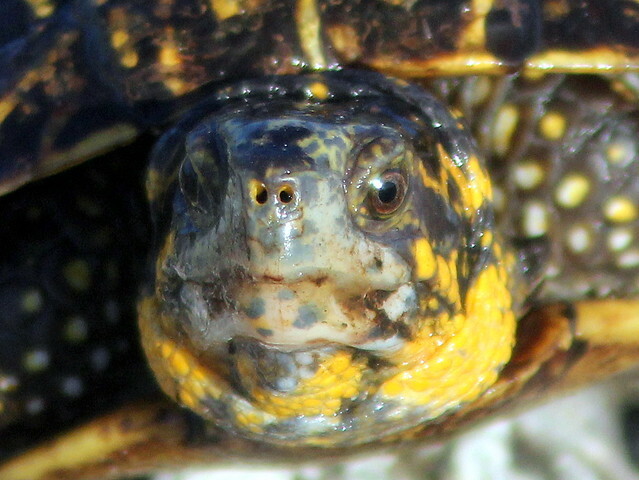 July 27th, 2011 at 2:22 pm what a wise face that turtle has! 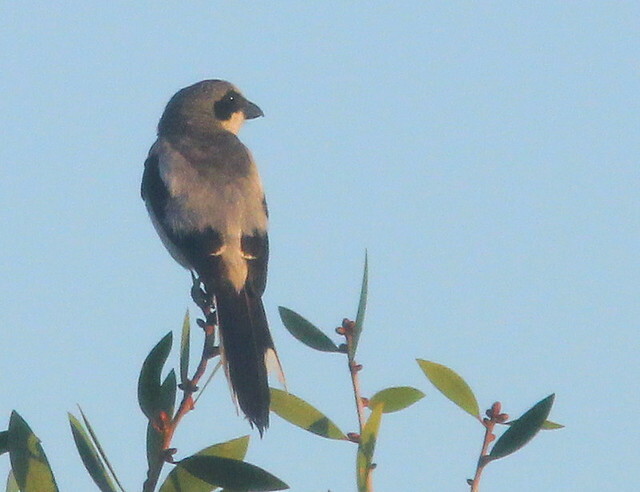 Lovely photos, specially the warblers, shrike and blackbird, they look so clear and striking against the blue sky. July 28th, 2011 at 10:39 am Another fascinating post! I saw a bobcat once many years ago crossing our backyard in the snow. They are so secretive. 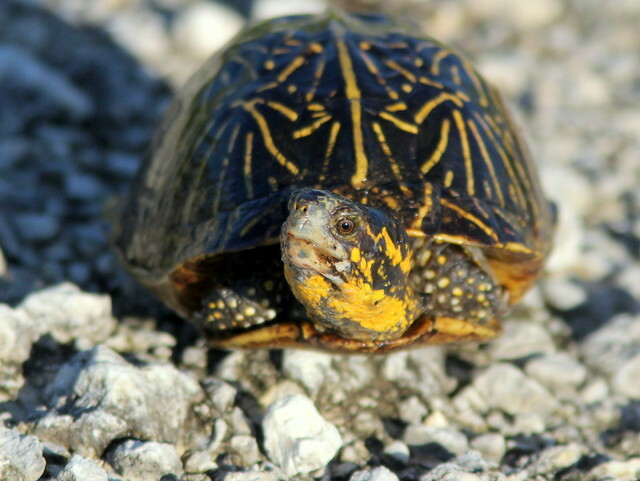 Love your turtle pics!! July 29th, 2011 at 3:02 pm I love your blog. 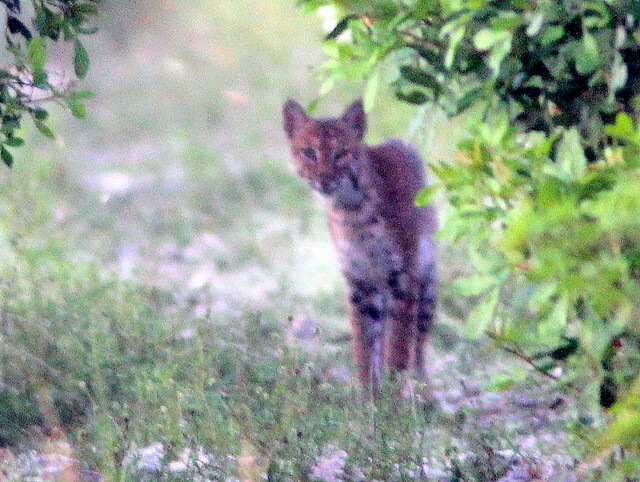 I live 12 blocks east of where you saw the bobcat, and am amazed! Have you seen the Geese that are off 184th just north of Miramar Parkway, across from the Fire Station. 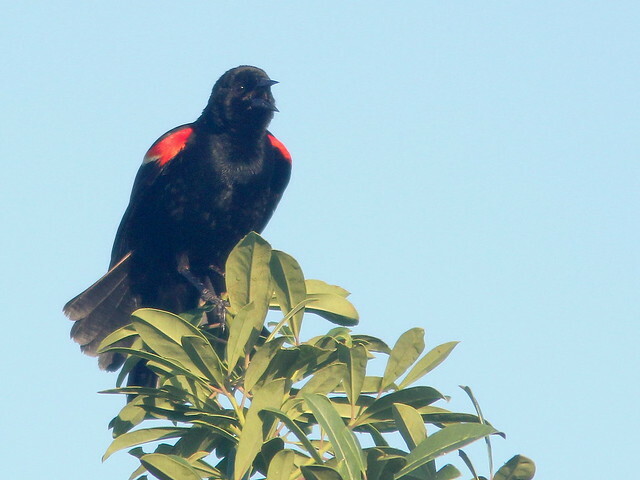 They visited for a short time last year and are back. Maybe you could give us the species and some background on why you think they are here. July 30th, 2011 at 12:36 pm Thanks, all! Nancy, those geese are Graylag (Barnyard) Geese, and they congregate at that spot almost every morning because a lady comes by regularly to feed them. This has been going on for at least two years, so they developed a strong habit of returning.